An Asia-Pacific filmmakers and moving-image artists collective founded by current students and alumni of the School of the Art Institute of Chicago. As a young group, Half Elephant hopes to actively promote the production, exhibition and distribution of alternative film and video in the region, as well as to provide a platform for dialogue and collaboration between filmmakers and artists across nation borders in Asia Pacific. Many of the works selected in the program are fruits of collaborative labors involving multiple members of the collective; one can say that the Half Elephant collective is an umbrella under which a closely knitted group of filmmakers and artists grew alongside each other in their art, constantly challenging each other to push the boundaries of filmic forms. The screening is a showcase of nine short films and videos from current members of Half Elephant. 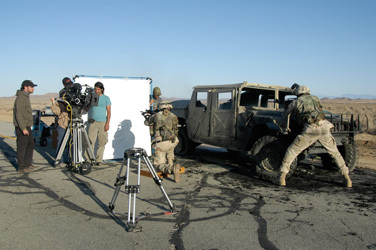 Many of the works transcend the traditional understanding of genre in film and video, by combining elements of narrative, experimental, animation and documentary. The films are all made in either America or Europe by filmmakers of Asian nationality. It is interesting to consider the manner in which the films assimilate the western culture and landscape, even to use them to create a temporal space that dwells into the roots of eastern philosophy, family values and Diasporic identities. The program also brings into question the notion of “Asian American”, thinking about the theoretical framework in which this ethnical classification can be re-considered in the context of these films. A 7-minute long take depicting the relationship between a father and son. The setting, a vast barren landscape, fittingly represents the emotional distance between the two characters. With little dialogue, subtle affection and strain is shown between the two as they engage in separate activities and a sense of irony is created in the display of a bonding experience between a father and son. 2. WAS MT. FUJI REALLY THERE? After having a dream of her dead brother who died ten years ago, the filmmaker Lee Mi Sa acts as herself, wishing that she could remember him. She goes to Japan, following traces of the dream. We store our past in DV, TV, and cell phone, which alter our memory through repetition. The work is developed from a combination of nihilism and Buddhism. We don’t realize how much people compete with each other and live very intense lives, but there is no need to suffer, because our human beings are very weak and eventually will die. This could be thought as human beings living for nothing, but all human beings will die and will become part of nature in a different form. Therefore, everything can be meaningless and there is no need to struggle in your life. I don’t know how to swim; I’m learning. I don’t know the reason why I’m practicing swimming; I’m searching. At the day of her wedding, two women make their best wishes to each other. 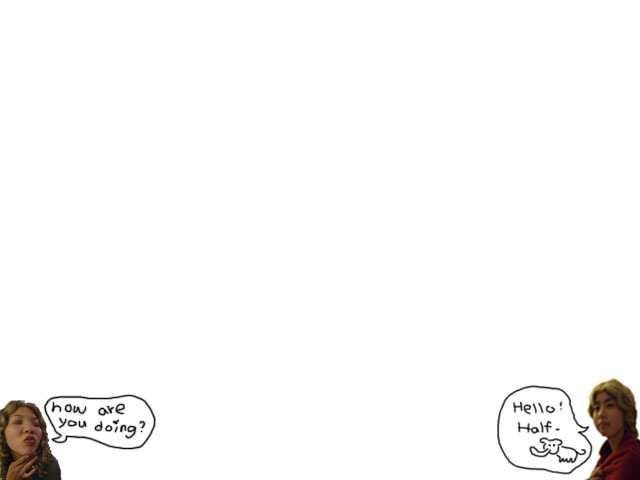 Mr. Soymilk and Mrs. Donut travels though time in their honeymoon. Three filmmakers traveled together in Barcelona. One of them chose to document the journey spontaneously. Immigrant worker, Shasha, comes to USA to search a better life and chase her small dream. Even though she has to deal with alienation and isolation in this big country as an outsider, she still keeps silent and is tolerant of everything happening around her. Until one day she got the phone call from her hometown…She knows her dream will never come true. Omer Fast, an internationally recognized video artist, presents two of his video installation in Rymer Gallery at SAIC from October 25, 2008 – Janurart 3, 2009, The Casting and the U.S. premiere of Looking Pretty for God (After GW). – quoted from Rymer Gallery. +Click on the picture for more detail about this artist and video installation. KoKaleng’s “Best Wishes” won the second place of the 2nd biannual SAIC Undergraduate Film Festival, which takes place in September 2008. Congradulation Kaleng! The Undergraduate Film Festival is the only student run film festival at SAIC. It is put on by Eye & Ear Clinic, Experimental Film Society, and ExTV. Yating Hsu, Angela Kim, Tzu-Han Emily Wang had their screening “No Distance” on September 20th, 2008 at Nightingale Theatre. 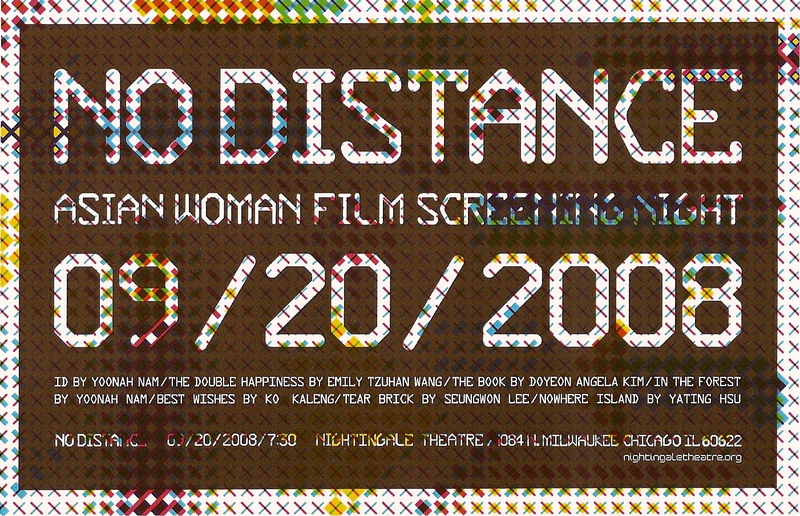 No Distance is a screening of short films and animations by young female Asian filmmakers who are alumni and students of the School of the Art Institute of Chicago. The pieces may not represent or make statements about Asian women, but shares the filmmakers’ mentalities and tonalities in common, which are solitude and uneasiness. Through diverse works and characters, the artists are inviting the audiences to their inner mind presented on a screen. I just recently finished editing my Cinematography Reel. It features clips from four films that were made by Half Elephant Members. 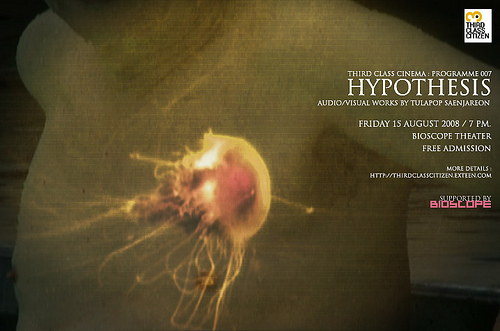 Series of audio and visual works by Tulapop Saenjaroen will be screening in Third Class Citizen Programme 007: “HYPOTHESIS”. Total of works are 9 pieces included Tales of Swimming Pool, “—-“, Estuary, Video Book, The Return, Drowsy Morning, Vocal Instruction, Water, and the newest project The Eternal Light. The programme will be on the 15th of August, 2008, 7pm, at Bioscope Theater in Bangkok, Thailand. More information about the works is coming soon. U.Frame, International Academic Video Festival, is an initiative of the undergraduate degree in Communication Sciences of the University of Porto (Portugal), aimed at taking advantage of its infrastructures and technical and human resources. At the same time, and in association with the University of Coruna (Spain), the Festival intends to build a bridge between different audiovisual and multimedia degrees worldwide, in an effort to stimulate the creativity of university students. “Nowhere Island” is selected in Fiction section and will show in Portugal from Oct 1st to 5th and will show in Spain afterward as well. Detail will announce. In its fifth edition year, Singapore Short Cuts is one of the most popular and widely anticipated showcases of local short films in Singapore. This year’s programme features new short films by acclaimed local filmmakers such as Kirsten Tan (Come), K. Rajagopal (The New World), Anthony Chen (Haze), and Boo Junfeng (Bedok Jetty) as well as premieres of outstanding work from new and upcoming filmmakers including Dreams of Youth by Daniel Hui and My Blue Heaven / 蓝蓝的天 by Yee-wei Chai. In celebration of Singapore Short Cuts fifth year is a special screening on 12 July of some of the favourite Singapore Short Cuts films over the years. All screenings will be followed by discussions with the filmmakers. Free tickets to the 5th Singapore Short Cuts can be collected at the National Museum of Singapore (Stamford Visitor Services Counter) on Saturday, a week before each weekend’s screening. 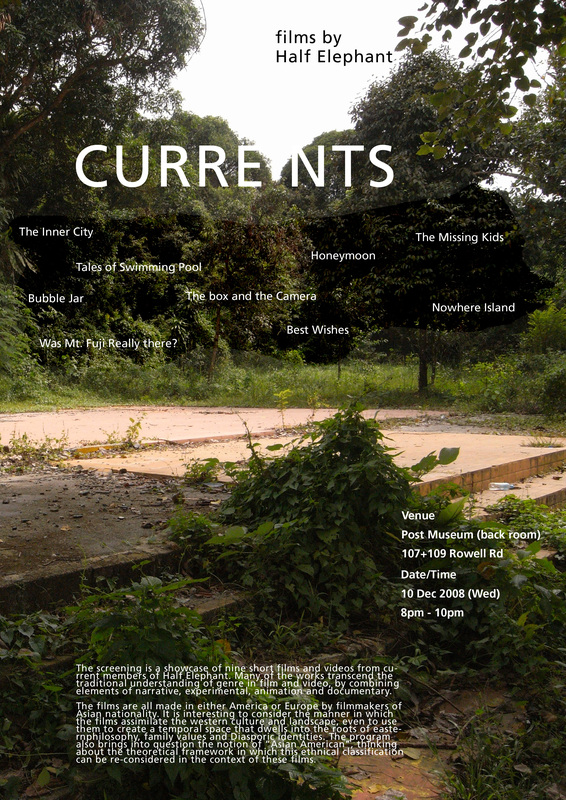 Tickets are available on a first come, first served basis, and limited to four per person. Any remaining tickets will be given out at the door on the screening day.